I coached with Mesa Youth Sports this spring and both of my boys played. I know alot of you had reached out to me about tackle and cheer. During the fall, Mesa Youth Football and Cheer offers tackle football and cheer for kids ages 5-14 years old. We have tackle football divisions that are age and weight base, we also offer divisions that are age and unweighted. Please reach out on specific divisions that would be best for your son or daughter. We are proud partners of our very own Arizona State University. They offer a couple free camps to our kids, we play our championship games on the main field and they host a scholar baller banquet for all of our student athletes with a qualifying GPA. They also give a free game ticket to each athlete that registers with Mesa Youth Football and Cheer. The game ticket for this year is to ASU vs UCLA on October 8. We are all volunteers with Mesa Youth Football and enjoy every minute of service we are able to provide to our youth here in Mesa. We are a “Heads Up” certified organization. All of our coaches/volunteers are required to go through a background check, coaches are concussion certified and we also have coaching clinics to help our coaches become better at what they do. In addition, each staff is required to have 2-3 CPR/First-aid certified individuals. 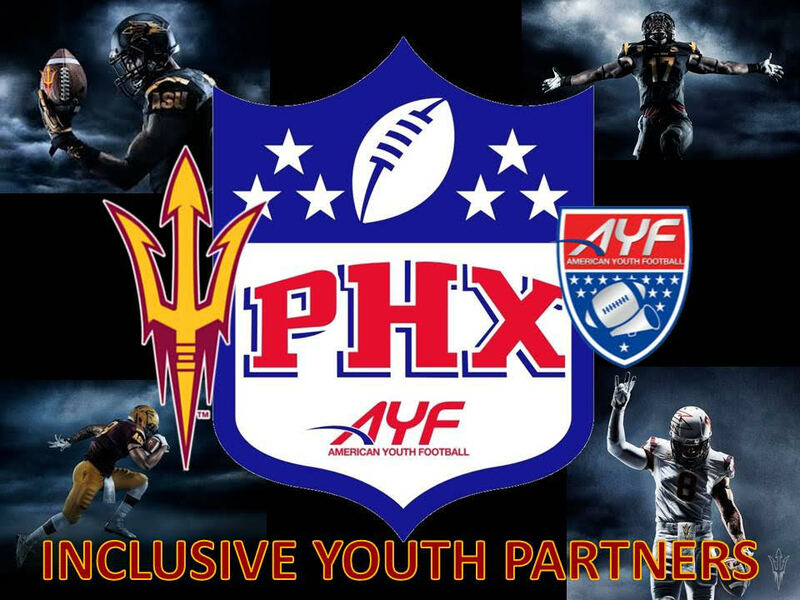 Last year, Mesa Youth Football was partnered with USA Football and A.T. Still, which provided us with athletic trainers at each of our practices and games. This is something that no other youth organization had the opportunity of being part of. One of those trainers, was just hired as the head athletic trainer for the Arizona Diamondbacks. We believe in safety first, so having these trainers available at all practices was such a huge relief to parents, coaches and our athletes. If you have questions, then they have the answers. We are excited to enter into year two with this USA football and A.T. Still partnership. We will be offering a free camp in Payson, Arizona on June 4th for all those that register with Mesa Youth Football and Cheer. Please reach out to me with any questions, so we can partner you will the right division and best coaches in Mesa. I included a couple of flyers and information about Mesa Youth Football and Cheer, and the things we have going on with our organization. We look forward to having you join us for the 2016 fall season. The first practice is on July 25, registration will close July 15th. Please see our website for more specific information and/or email me with any questions.